Why do you come to mutual every week? What brings you here week after week? 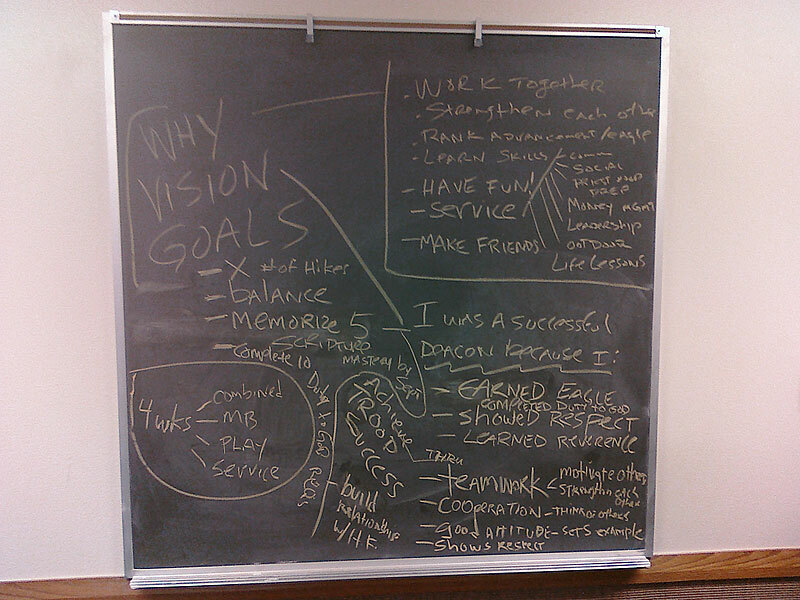 What does your vision of success look like for our quorum/troop? What goals should we have to accomplish that vision? This is a picture of our chalkboard with some of what they came up with that day. Using this exercise along with Brad’s perspective, I thought about how I could help them make the connection between their long-term goals and our weekly goals so that it would stick in their minds for a long time to come. My mind immediately went to using a picture instead of words (which generally works better for me too). I wanted to give the boys a visual image they could relate to. Recognizing the many analogies that could be used here, I chose hiking. When you go out to hike a mountain, we know it’ll be a challenge. It’s mostly uphill. It tests physical strength and mental commitment. It pushes our abilities in ways that are meaningful all along the way. The best part, the pay-off, is when you reach the top. Summiting the peak, taking in that view, makes all that effort totally worth it. This concept of hiking works well to illustrate what I feel about working to accomplish these other goals in the lives of these young men. Below is the image that I will refer to anytime we talk about why we do what we do in our quorum and troop. The long-term goals are respresented by reaching the summit. The weekly goals are represented by the hike along the way. 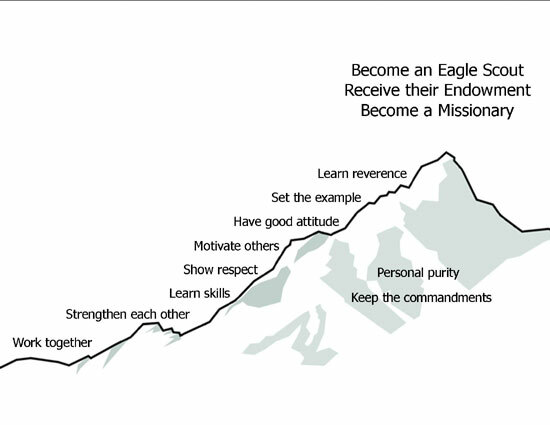 This entry was posted in Duty to God, Leading by Example and tagged brad harris, deacon's quorum, eagle scout, goal setting, missionary, quorum vision, trails to testimony, troop goals. Bookmark the permalink. Dear eTrailToEagle, Are You Going Out Of Business? 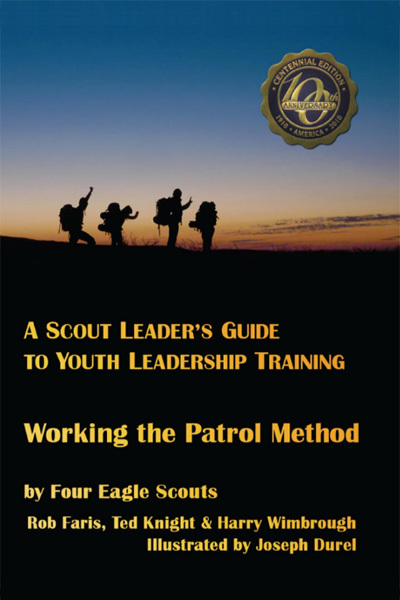 "Whether you’re a new Scoutmaster or not, Working the Patrol Method is a MUST-READ for both alike!"